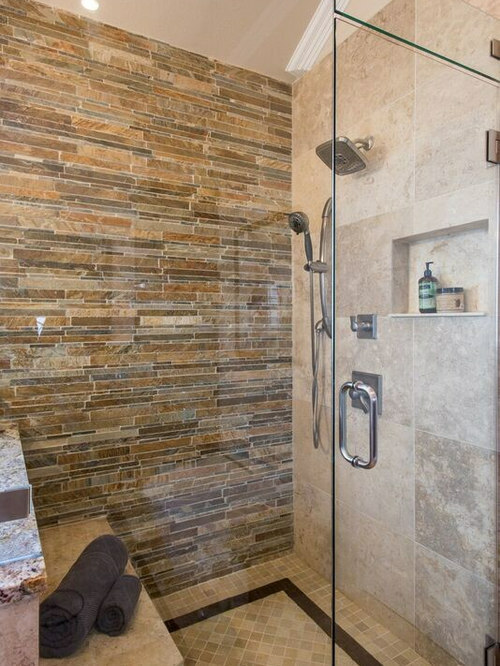 This master bath was previously a logistical nightmare with virtually no space in the most important areas: the shower and the water closet. 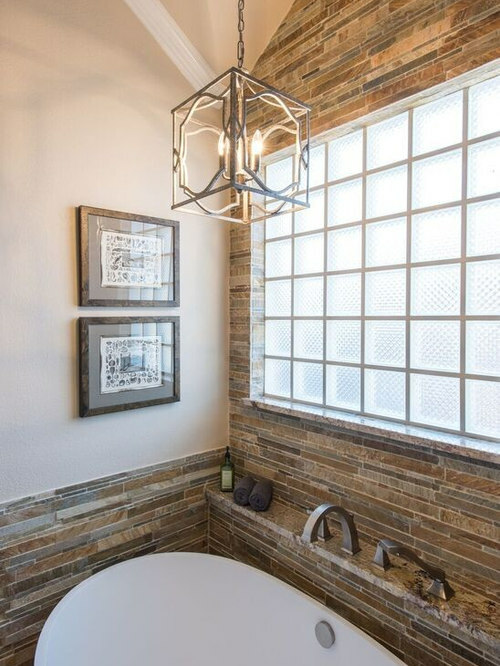 We moved some walls to open the space to what’s now a couple’s dream bathroom with plenty of space to do everything they desire in comfort. 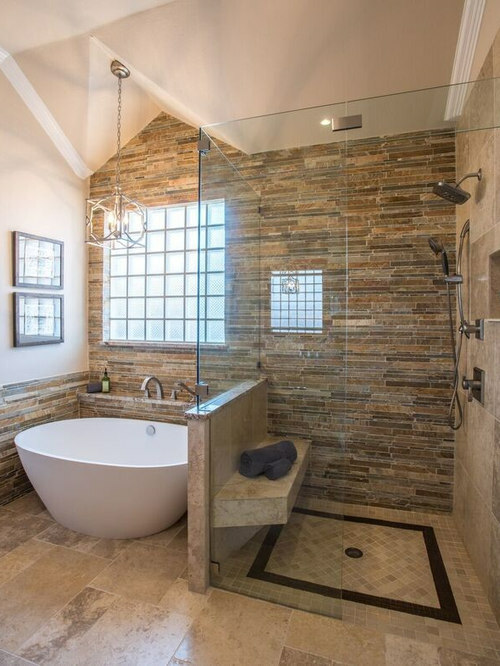 Stack stone wainscoting gives warmth and the above chandelier the perfect glow for relaxation in the soaking tub. Roman tub filler has a handheld spray for additional functionality while bathing. 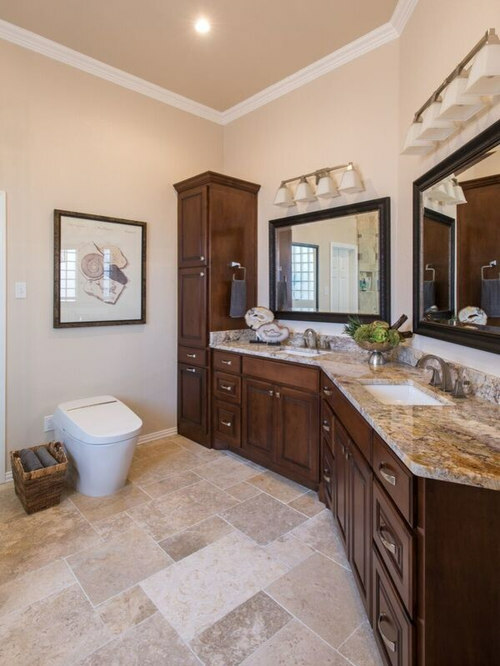 This is the homeowner’s personal sanctuary. 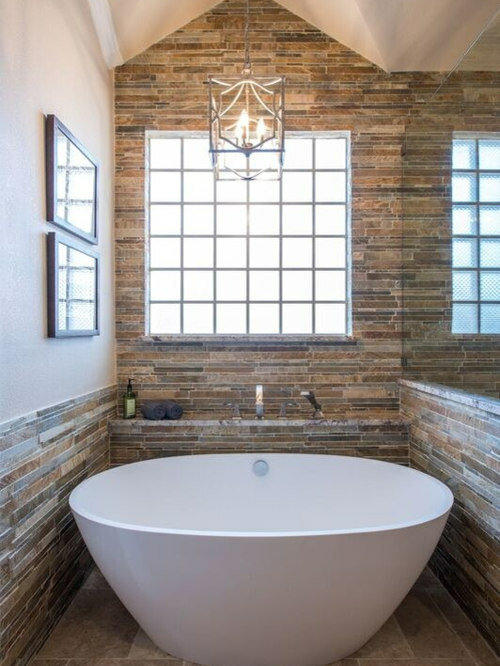 Stack stone wainscoting gives warmth and the above chandelier the perfect glow for relaxation in the soaking tub. Roman tub filler has a handheld spray for additional functionality while bathing. 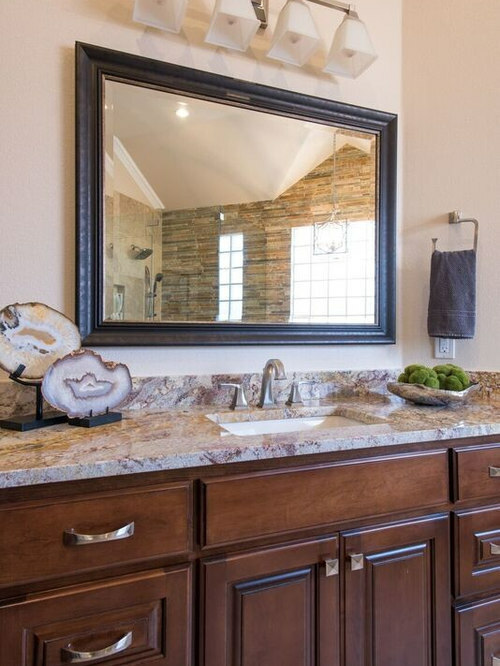 Bordeaux granite countertops give color in all the right hues for this fossil and earthy styled bathroom. 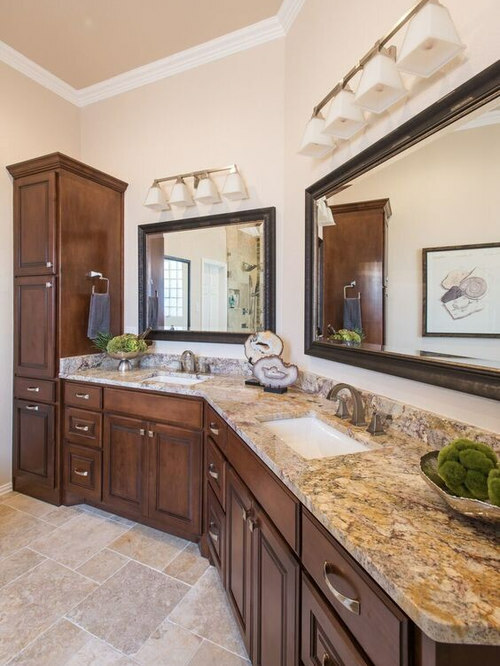 Amber colored custom stained cabinetry, brushed nickel lighting, cabinet hardware and plumbing. Custom cabinetry allowed us to use every possible inch. We created a tall storage cabinet where the water closet used to be and relocated the toilet to the back wall. It’s elegance allow it to be visible in the main room. Antique fossil artwork, agate and succulents complement this room’s utterly natural qualities. Floor tile laid in Lyon pattern.